High blood pressure has become one of the most common disease conditions in today’s day and age. Irrespective of age, family history, etc. anyone can be diagnosed with high BP. What’s surprising to see is that owing to our 21st century lifestyles, an alarming number of young individuals are diagnosed with high blood pressure too! High BP or Hypertension is a condition in which the blood pressure is higher than 140/90 mmHg. Blood Pressure up to 120/80 mmHg is normal; BP between 120/80 to 130/80 mmHg is considered Pre-Hypertension. 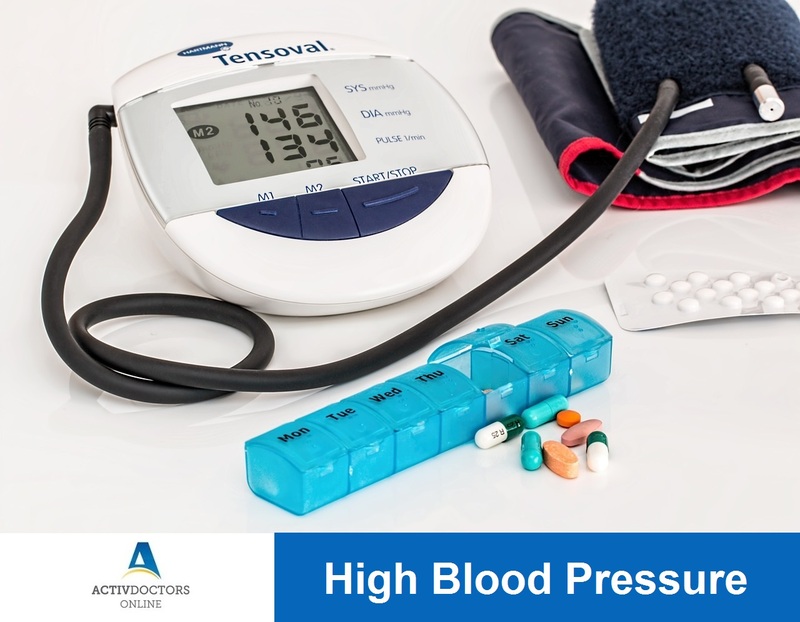 Pre-Hypertensive individuals do not require any active intervention with medications; lifestyle modifications, diet and regular monitoring of blood pressure is all that is needed. In case of hypertension, medications are often advised along with diet and lifestyle changes to help regulate your BP. Regular Physical Activity – Dedicate at least 10 minutes of your time every day for moderate to intense physical activity like brisk walk, cycling. Maintain a healthy weight – BP increases with increasing weight. Losing a few kilograms help you reduce your BP as well. Reduce salt intake (Sodium) – Sodium is directly related to your BP, limit intake of salt in all the forms – salted foods, canned foods. Limit intake of salt in your diet to less than 5 gm/day. Don’t drink too much – No alcohol is always better, but if you have a habit of consuming alcohol, it is advised to limit your intake to 2 to 3 units a day. Eat a healthy balanced diet – Intake of fruits, vegetables, nuts, low fat dairy products help in reducing your blood pressure. Practice deep breathing exercises – Studies have shown deep breathing exercises are extremely beneficial in blood pressure regulation. Avoid stress – stress has shown to be a causative factor for fluctuations in blood pressure. The following foods have proven beneficial effects in blood pressure regulation. Ensure regular follow ups with your Doctor / Physician. Timely action, advise and intervention shall keep you healthy and fit.